You should be a little selfish too to be successful in this world. Its only you who could love you the most and take care of you the most than anyone, apart from your parents. Here is your Whatsapp Dp status picture to express your mood to your friends and to the world. 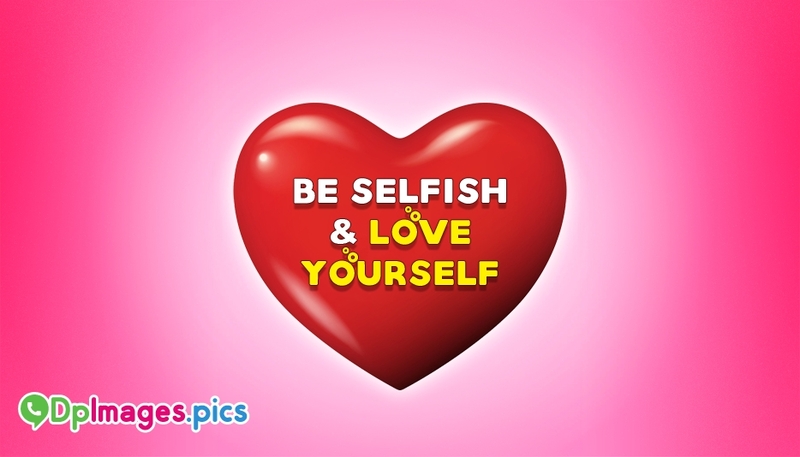 The picture portrays the message "Be Selfish and Love Yourself". Free download and use as your whatsapp profile picture and advise your friends to be selfish a little and love themselves.